Here, five strategies for successful wine-giving. This sparkling wine is great for people you know well and people you've never met before. It's a universal gesture of celebration. And your hosts can easily regift it. 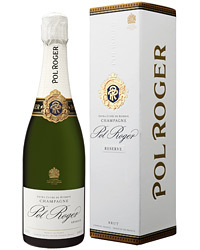 The wine doesn't have to be expensive: I like Pol Roger Brut Reserve ($45) and Pommery Brut Royal ($42). 2. Select a wine with broad personal and culinary appeal. For Americans right now, that means Pinot Noir from California, Oregon, France and even Argentina. 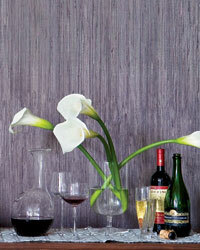 California Pinot Noirs I love include Calera's 2007 Central Coast ($24) and Rusack's 2007 Santa Barbara County ($30). As for Argentina, I'm a fan of the Pinot by Luigi Bosca ($18). 3. 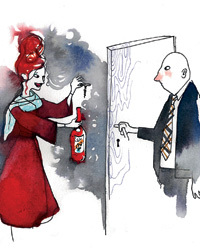 If you're giving the hosts a special bottle, tell them ahead of time. 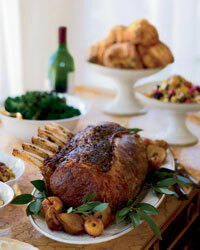 Ask about the food they plan to serve and tell them you have the perfect wine to go with it. All the collectors I know do this; it's not rude, it's helpful. 4. Present the wine ready to serve. If it's a white wine or a Champagne, make sure it's chilled. If your hosts don't get the hint that you'd like them to open it right away, say, "I thought this would be a great start to the evening." This two-bottle size demands to be shared. No hosts would dare put away such an impressive gift; it commands their immediate attention and is a good reason for everyone to celebrate all by itself.